Mindful Chickens are (for people who don’t know why I call them this) about three things. 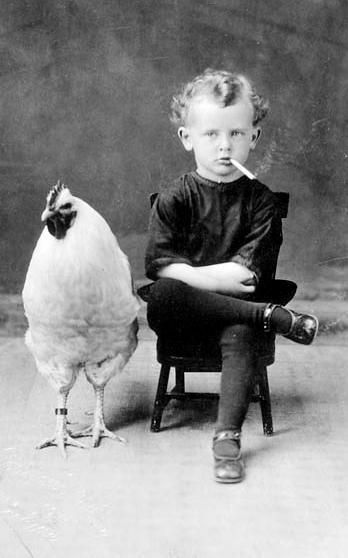 I just like chickens. I don’t know any personally, but I respect how small, weak, and tasty they are – yet they live each day persistently, doing the best they can under their circumstances. They are not embarrassed by their odd figures or floppy head parts or splayed feet. They are generally but not totally sociable. They like to sleep in a cozy place with their friends. Most of them seem to regard a sunny day as a good day. Works for me. ONE – We spent a plethora of money on food and we ate it all. TWO – When I was buying the groceries, the expiration dates on the $8 gallons of Organic Valley milk was the date on which I was shopping. I stuck my head into the backroom of the store, yelled out a Wisconsin Yoo-Hoo and politely complained to the guy working there. He went digging and found a gallon that had 10 days until the expiration date. I think when products cost more – because we are paying what it actually costs to produce a product without exploiting people, animals, or environment - we treat the potential purchase with more respect. If this happens next time I go shopping, I will send an email to Organic Valley; let them deal with it. This is about how to donate one’s body to science. Free (eventual) cremation is part of the deal. Not at all sure if I want this but will talk about it with my family. It’s an interesting thought for those of us who would rather our kids get our last bits of $ instead of a funeral home. FIVE – Twice this week I hit a McD’s drive-through for an ice cream cone. First of all, the price has gone up- they used to be $.50, then $.69 - yesterday the price was $1.36! Still cheap, but a doubled price in less than a year? This week I relearned that just because they call it fast food doesn’t mean it is fast. Both purchases took nearly 15 minutes. Life on earth is precious and I’m not getting any younger… I do not have time to be inching along in a line of cars so I am giving up “creeping-along food” for the foreseeable future. My plan is that every time I think I want an ice cream cone, I am going to invent for what to do with my “extra” 15 minutes of mortality. Probably eat a snack at home…. SIX - I didn't pay off any illicit former paramours or "fixers" this week, thus saving hundreds of thousands of dollars.